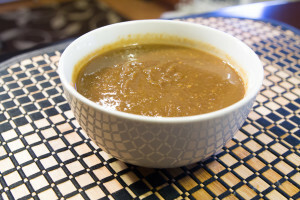 Date Chutney is a type of sweet and sour chutney that makes a great condiment for a variety of foods including Ahloo Tikki, Samosas, and Pakora. Add the following to a pan: fennel seeds, red chili peppers, cumin seeds, coriander seeds, and salt. Be careful not to burn spices so add quickly or add everything beforehand then turn on stove. Roast for 1-2 minutes on high heat. There should be an aroma by the end of it. Turn off stove to avoid burning spices. Add the dates. Add tamarind paste. Add water. Cook for 1-2 minutes on high heat. Turn off stove. Let it cool down. 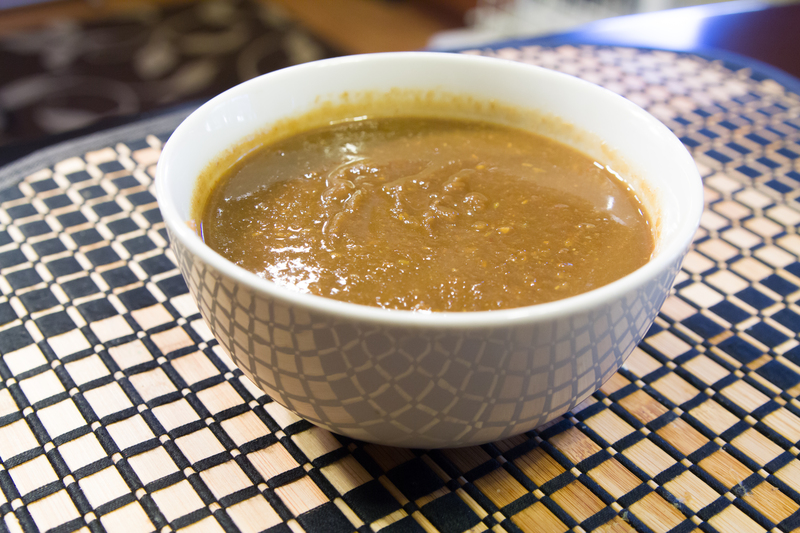 If chutney is too thick, then add boiling add water to it and mix. Refrigerate and serve cold with the dish of your choice. This chutney should be good for approximately a month.